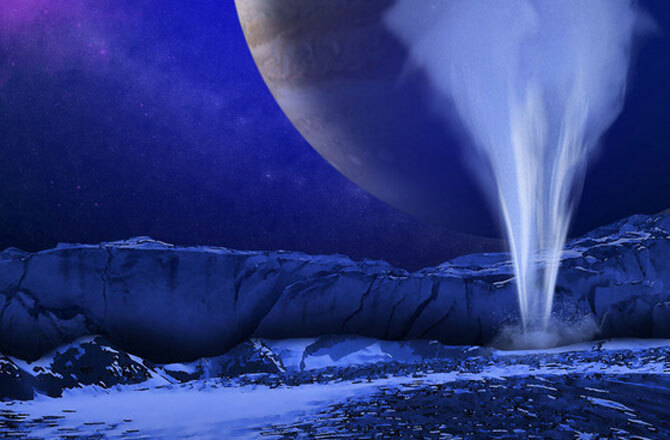 Huge plumes of water have been spurting out of Europa, one of Jupiter’s moons – and it might be the best place in our solar system to find aliens. The shock finding comes from a new look at old data, and has led scientists to confirm that the moon is a leading candidate in our search for alien life. Europa has long been seen as a possible candidate to have extraterrestrial life in our own solar system. But getting to it seemed almost impossible: the planet is thought to be covered in a thick crust of ice that would stop us from reaching the ocean beneath. The new discovery makes it much easier to actually find: the plume means that scientists can “taste” the water on the moon, helping them understand what might be found there. The plume was discovered when scientists realised that a bend in Europa’s magnetic field observed by NASA’s Galileo spacecraft during a 1997 flyby appeared to have been caused by a geyser gushing through its frozen crust from a subsurface ocean, researchers who re-examined the Galileo data reported on Monday. Galileo was passing some 124 miles (200km) above Europa’s surface when it apparently flew through the plume. The research, headed by University of Michigan space physicist Xianzhe Jia, was published in the journal Nature Astronomy. The findings support other evidence of plumes from Europa, whose ocean may contain twice the volume of all Earth’s oceans. NASA’s Hubble space telescope in 2012 collected ultraviolet data suggestive of a plume. NASA will get a close up look from a new spacecraft during its Europa Clipper mission that could launch as soon as June 2022, providing a possible opportunity to sample plumes for signs of life, perhaps microbial, from its ocean. Europa is considered among the prime candidates for life in our solar system, but is not the only one. For example, NASA’s Cassini spacecraft sampled plumes from Saturn’s ocean-bearing moon Enceladus that contained hydrogen from hydrothermal vents, an environment that may have given rise to life on Earth. 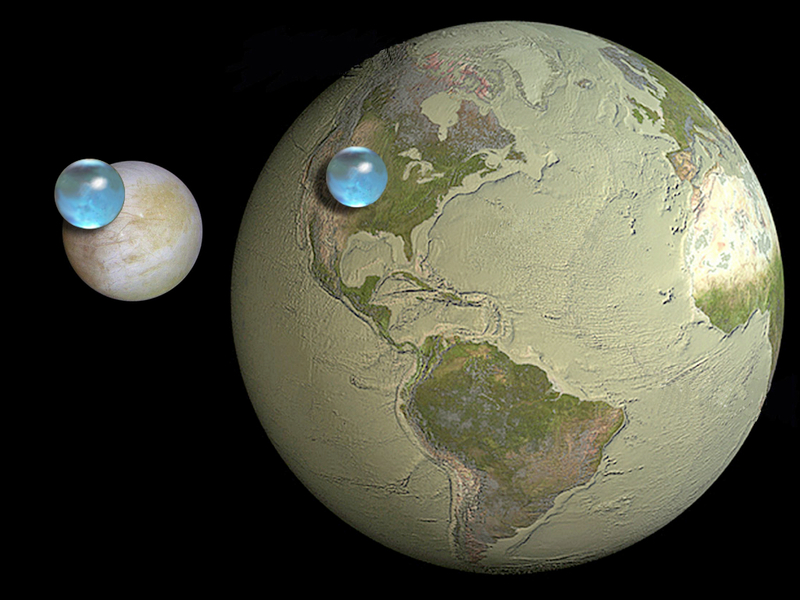 A bit smaller than Earth’s moon, Europa’s ocean resides under an ice layer 10 to 15 miles (15 to 25 km) thick, with an estimated depth of 40 to 100 miles (60 to 150 km).